After school and 'A'levels, I joined the C.E.G.B. (Central Electricity Generating Board) - this was around 1964 or so - there was a graduate training scheme - I was taken on as a T.S.T. (Technical Staff Trainee) - was enrolled at Portsmouth Polytechnic (later Portsmouth University) and started workshop training at Portsmouth Power Station. To be fair - the training scheme was very good - a split sandwich degree course (6 months work and 6 months uni. each year). 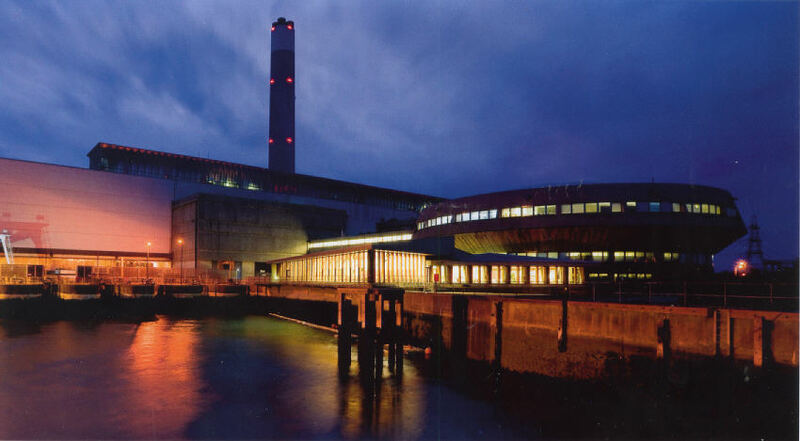 I was at various locations including Portsmouth, Southampton and Marchwood Power Stations and Nursling Sub-Station, but ended up with a 'proper' job at the new giant-size Fawley Power Station. 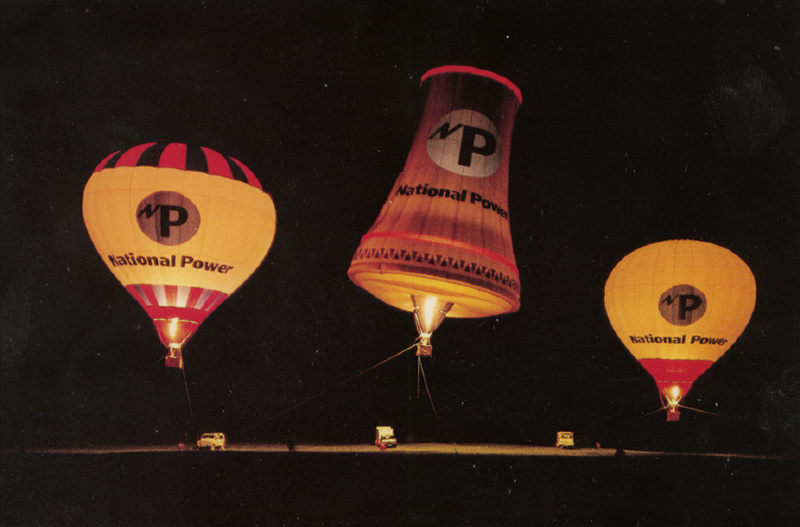 Most of these places are now closed - we don't use things like coal or oil to generate electricity these days - just hope the wind will blow, the sun will shine and waste imported natural gas and mashed up trees! I guess most people enjoyed work - for much of the time I was also Hon.Sec. of the Sports & Social Club - so helped organise various events, plus leaving parties as people took early retirement deals (including myself!). 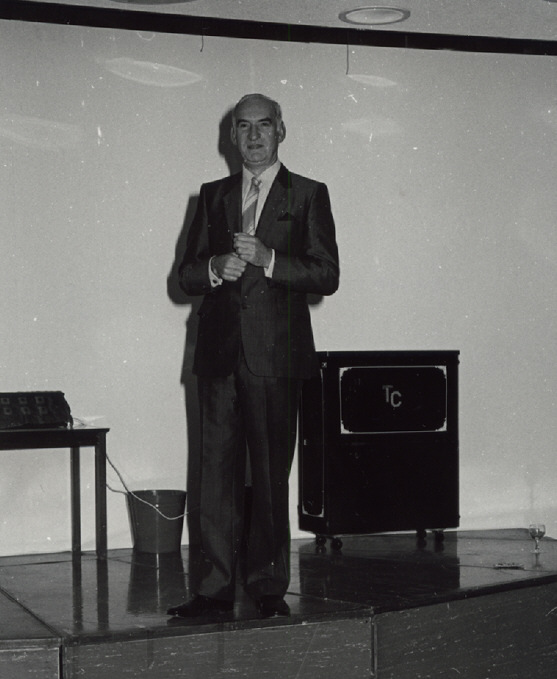 Some of the evidence is below - more may come to light later .... we did keep the place running as well - honest! 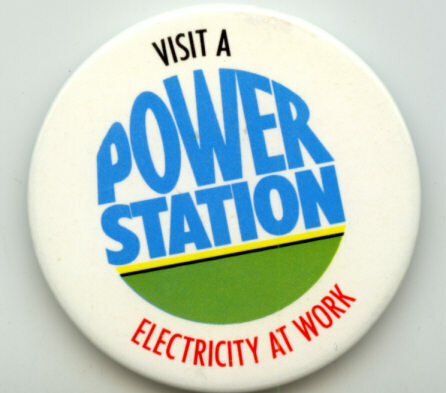 One of the badges we gave away to visitors like school parties - I still have mine! - 2000MW output (huge) and one of the most efficient in the UK - somewhat like the staff there I guess! 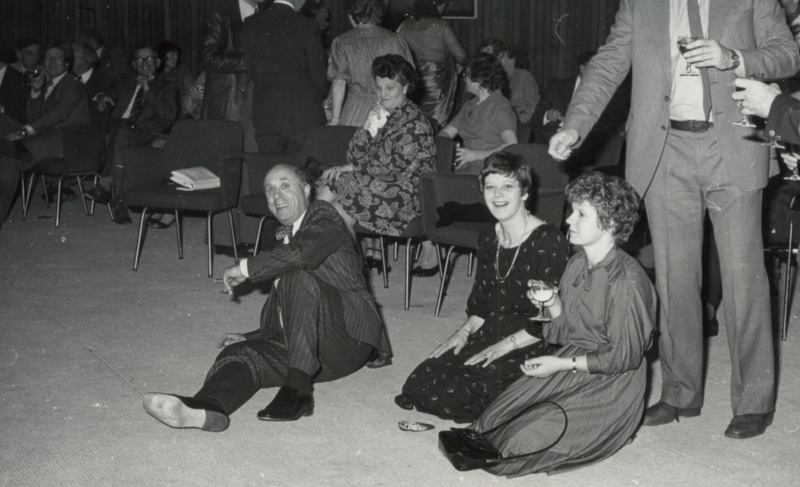 No details on this one - possibly an Old Time Music Hall organised by the Sports & Social Club - perhaps mid 1970s? - it certainly looks as though it went with a swing - lots of drink! Obviously an Old Time Music Hall (performed by Solent Peoples' Theatre - I recall) - Dave & Ethel Parsons certaiinly looked the part! 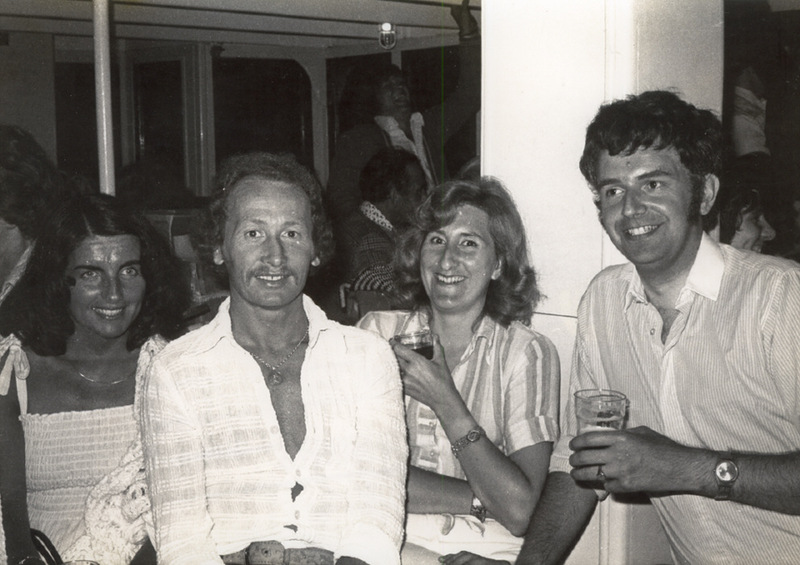 Same night as above - ladies from rhs - Carmen Brown; Sue Smith; and sorry - but one of the laboratory 'boffins' wife - it was a long time ago! 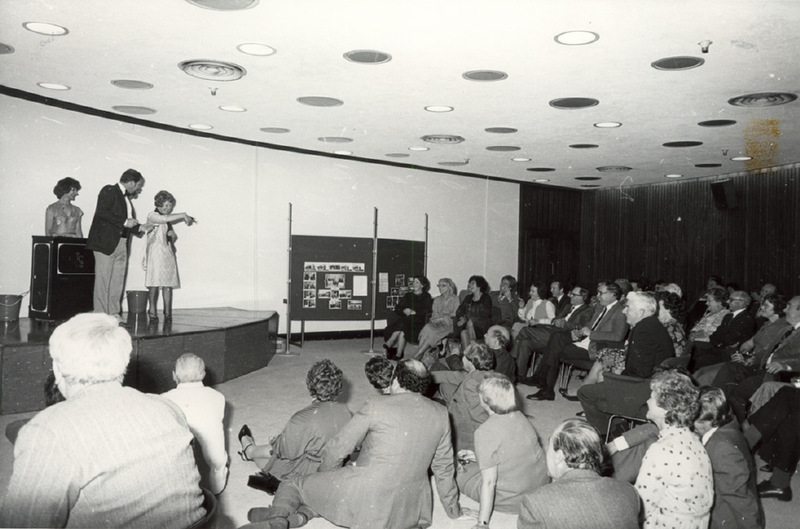 Obviously another Sports & Social Club event - sometime in the 1970s I guess! Everyone happy though! 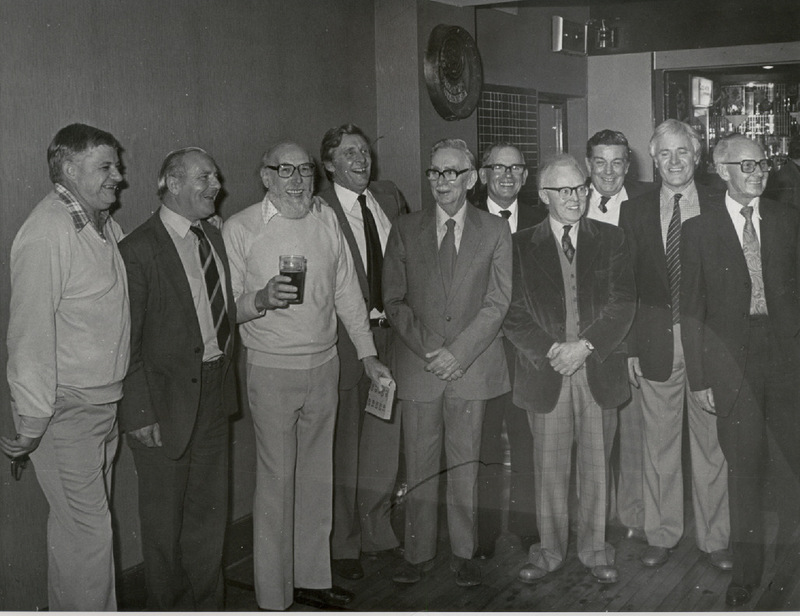 (and all still alive - Ray spoke to me on the phone today - we discussed aches and pains - 'keep taking the tablets'! 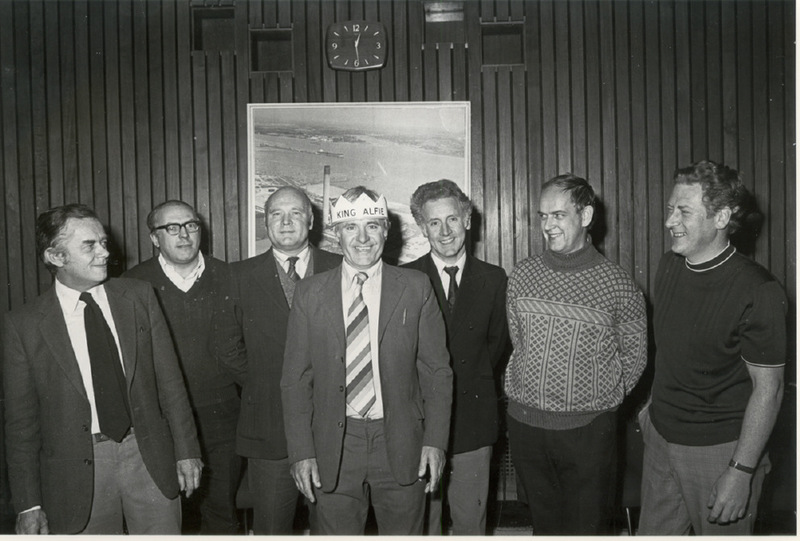 Ray Springett (draughtsman); Doug Peplow (Scientific Services 'boffin'); Jim Stringer (Operations and later oil burner expert I think); Dennis Hurley (Mechanical Maintenance Engineer); Alf Wootton (Personel Officer); ??? (Mechanical Maintenance Department - I may remmenber! ); Phil King (ex. 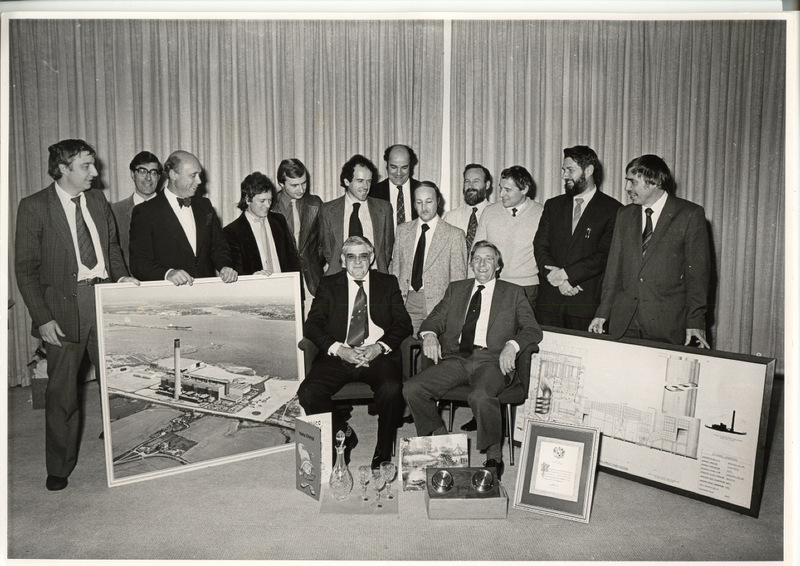 Electrical Maintenance Engineer - Southampton Power Station); John James (also on Electrical Commissioning with me years before); Alf Fielon (as photo above - how did he sneak in on this one? ); ???? (oh dear - maybe after a red wine or two I'll remember!) - all great guys, but many now longer with us. (A lot of posts were 'Engineer' - an ex. Navy term of course. Power Stations and ships both used steam - so much the same! 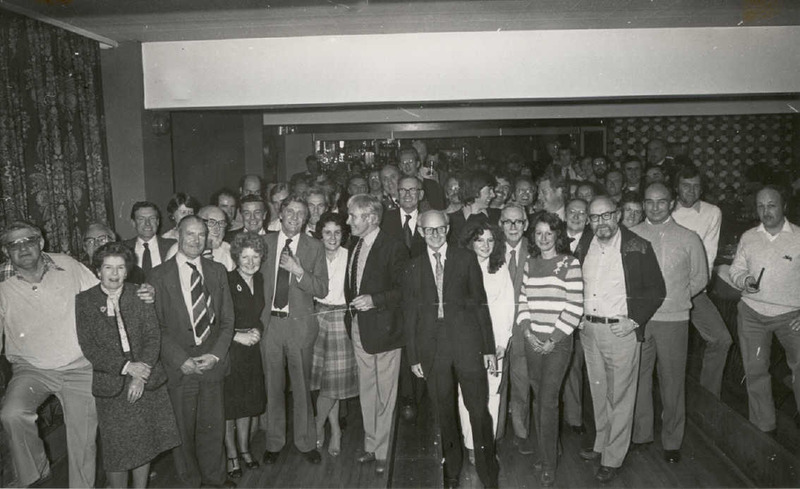 Yet another retirement event - dated Oct1981 - yes I do recognise most people- but haven't the space! 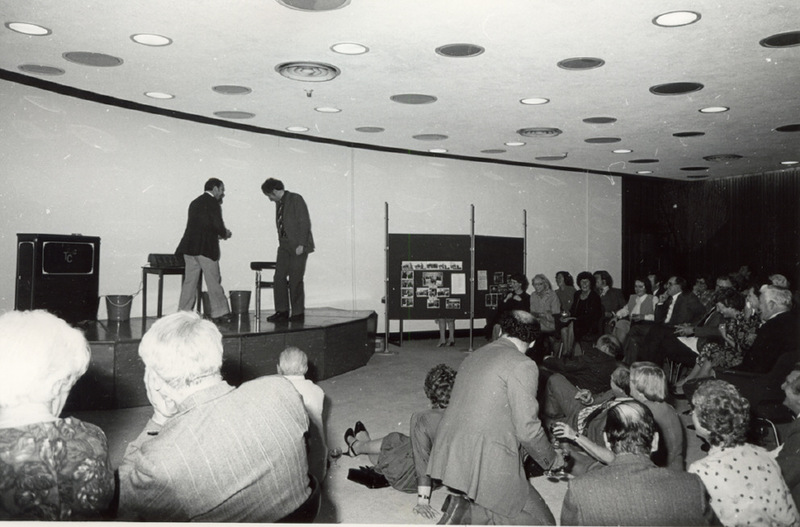 6Nov1981 - And that's me up there - think there was a problem with the chair - plus to do with holding a live detonator! 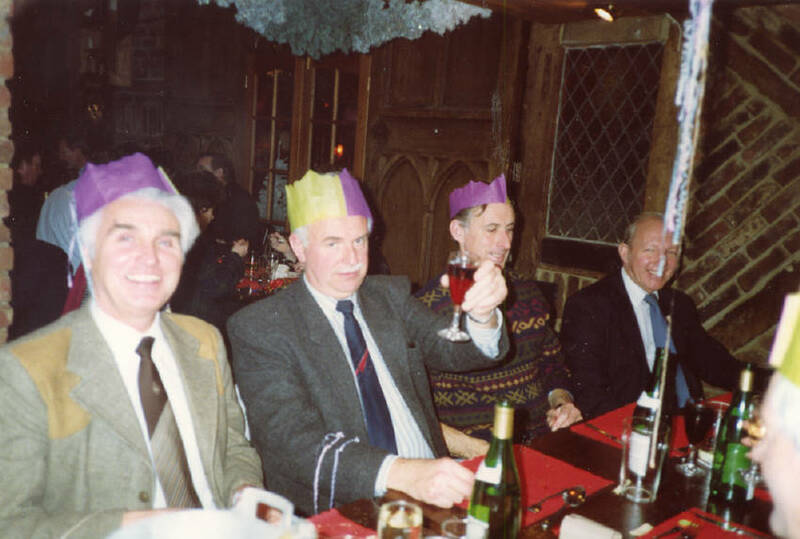 Mike Cox; me - Grahame Newnham; Terry Girling and Chas Smith - maybe 1990? all now shut and soon to go - marina; container & ferry port; housing estate; - oops! Watch this space! More than 1,000 homes could be built on the site of a disused power station site near Southampton following its sale to a developer. 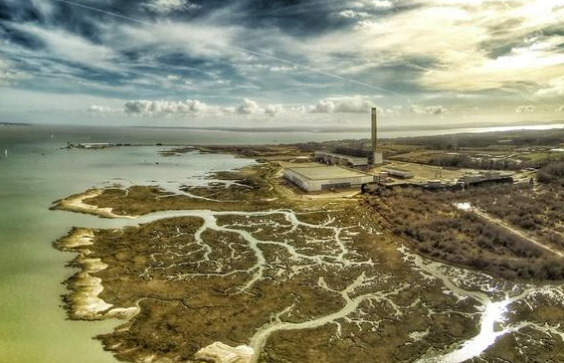 Land Registry documents show London-based Long Harbour bought the 300-acre Fawley Power Station site for £25m. The financial group said it planned to build homes and a marina on the site on the edge of the New Forest. 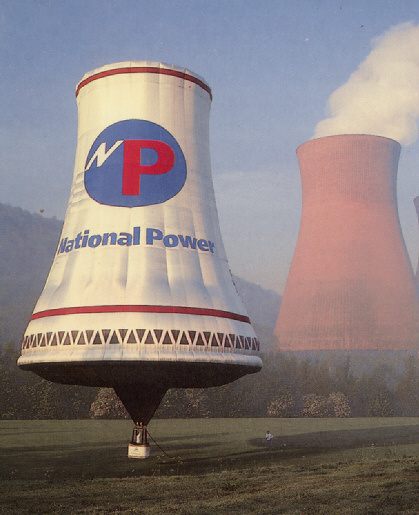 The oil-fired power station was decommissioned in 2013 after operating for more than 40 years. A Long Harbour statement said: "Working with Fawley Waterside Management Company, Long Harbour has begun works towards achieving outline planning consent for a mixed-use development including over 1,000 residential units, commercial space and an active leisure marina." 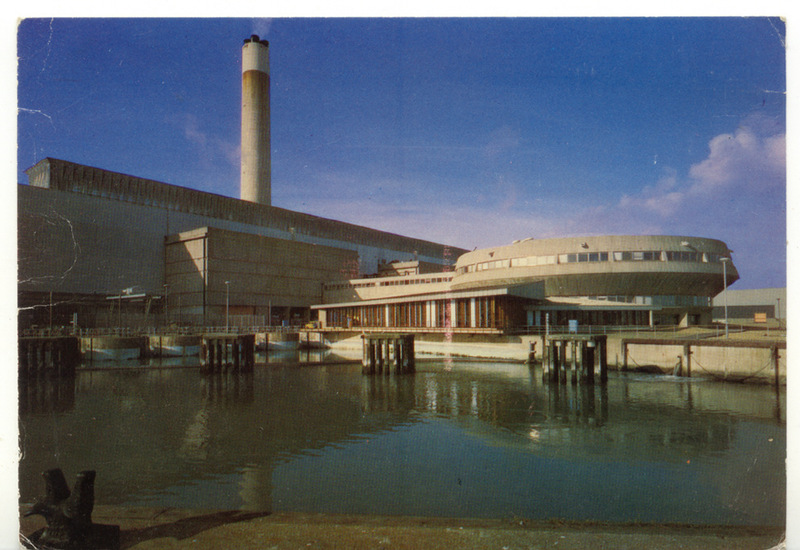 Watch out for other Fawley Power Station photo pages - the Camera Club for example.